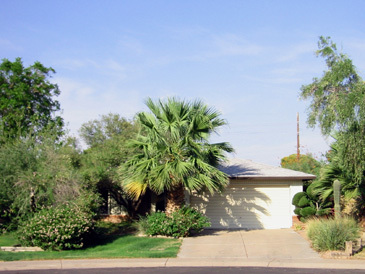 2326 E. El Parque Dr.
3 Bedroom / 2 Bath - 1411 s.f. Handy location and Move-in Ready! Secluded Tempe hideaway - backyard bordered by canal. Conveniently located near the 101. Renovated kitchen, new appliances, tiled floor, wooden and security shutters. Large sideyard for entertaining. Large master with walk-in closet. verification by the purchaser prior to sale.